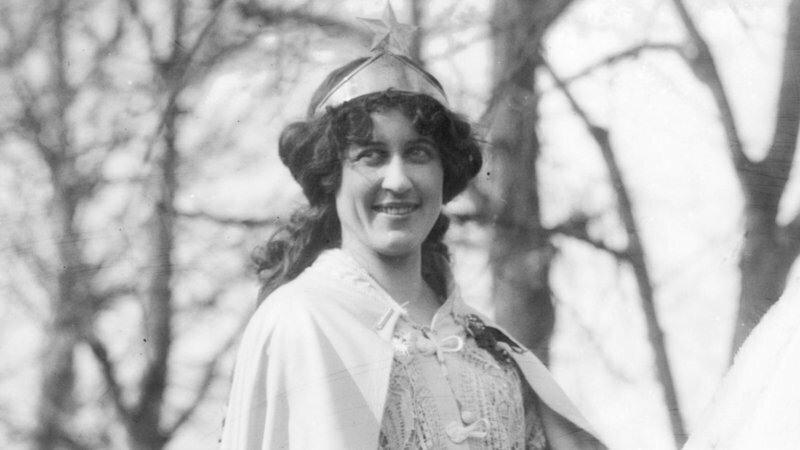 Step up to the plate to help with suffrage activist Inez Milholland petition for 2016! Honor Inez Milholland during the centennial of her death! on Vimeo. Step up to the plate and give a hand to the campaign to ask President Obama to award Inez Milholland with a presidential medal. This special program at Suffrage Wagon Cafe asks for your help in signing the digital petition. Our goal is 500 digital signatures. We’re distributing postcards and Inez buttons that are available through the web site of the National Women’s History project. To reach the goal of 500 supporters, we need you to sign. Don’t send money. Don’t fret. Just sign the petition. It’s that easy. Go to the petition site. This year, 2016, is the centennial of the death of America’s suffrage martyr. There’s a centennial web site with all the background information you need to sign the petition. Check it out. Marguerite Kearns and Bob Cooney are co-chairs. You’ll find photographs, history, and social media on the centennial site that will fill you in about Inez. The Inez Milholland centennial is a special campaign of the National Women’s History Project. There’s a free 15-minute film by Martha Wheelock and Wild West Women available at InezMilholland.org that you can order for yourself, your organization or for classroom use. It’s a terrific production that’s being shown in classrooms across the country. Take a minute to view the film’s trailer and then get on the horn to order the DVD for your own use. It’s causing a sensation and open eyes around the nation. Honor Inez Milholland Centennial (1916-2016) on Vimeo. This excellent biography, Inez, about the life of Inez Milholland, America’s suffrage martyr, is available through the Indiana University Press. Follow SuffrageCentennials.com for news and views about upcoming women’s suffrage centennial events and celebrations. New program soon at Suffrage Wagon Cafe! New York State women’s suffrage centennial is in the news!